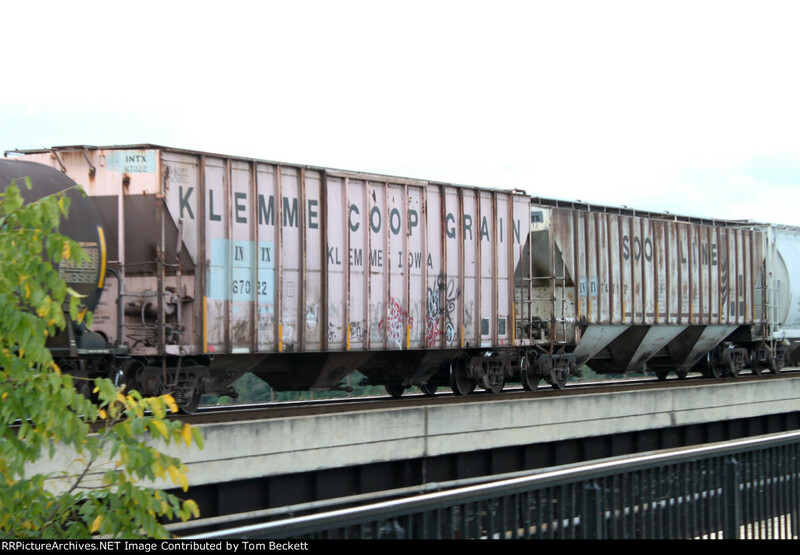 Back in the 70s, the Klemme Coop, in north central Iowa, invested in a fleet of covered hoppers. This assured them of a steady supply of cars, which gave them some predictability in that era when things were rotten and the granger roads werent doing well. They were on grain trains everywhere. The SOO car is one of the famous "wheat stalk" cars, which were also seen nationwide. These two have now found their way into the Interstate Commodities fleet, granting them several more years of useful service. We see them here on a CSX train headed toward Chattanooga.